Those of you with the ability to offer analysis need no further encouragement to do so. I am looking forward to your comments. The current First Look viewer lets us see the early stages of the incorporation of WindLight into Second Life. Add We are the Strange to yer myspace! Help support independent animator weirdo’s! Dewd? Seriously? I’m booking August off. This is what I’m doing in August. I’m watching “We Are The Strange” until all of my braincells simultaneously detonate. This post officially marks the fact that I’m sick of holding back on cool gaming stories. If it’s a good story about online gaming, it goes up at Second Life Games. It’s official. I’m putting my foot down. My house, my rules. You don’t like it, there’s the door. You know, when I was your age … what was I writing about again? OH YEAH! FREE MMO! 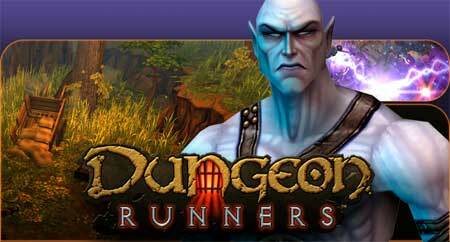 NCSoft, makers of Lineage, City Of Heroes, and Guild Wars, have released Dungeon Runners. Free download, free to play, still not sure how they’re making any money although I’d bet it’s a micro-transaction deal like Habbo. I’m going to play it this weekend, I’ll take a few screencaps, and I’ll give you some first impressions. Despite vehicle related experiences in the virtual world of Second Life leaving much to be desired, at best, Renault F1 went ahead and launched a Go-Kart track last week. The Things To Do group, which is free to join for anyone looking to have fun exploring Second Life with friends, donned crash helmets and leathers yesterday evening for an hour of race track mayhem. Robot judges Alonso and Ned announce the winners of the METAL photography contest at the Photography Studio of Grignano. At the Photo Studio there’s always a contest or the exhibition following a contest. Next one has a steampunk theme, and will be announced soon. You are currently browsing the Second Life Games blog archives for May, 2007.